The choice of a piano is not simple. Grand or upright? What size? New, used or reconditioned? What brand? The answer to these questions, and many others, depends on several factors: some objective (the space available, your budget, the required performance ...), other subjective (timbre, type of mechanical, furniture color, appearance...). Our goal is to understand customer's needs and assist him in finding the best piano. Our pianos are optimized in all aspects: from keyboard weighing to the voicing, so that they can offer their full potential to all our customers: from the novice pianist, to the concert artist. 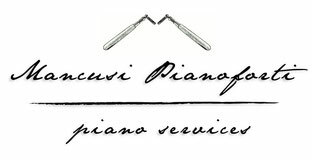 After finding your piano, it's very important to locate it in the best way into the new environment: we'll recommend the ideal position*, providing the necessary accessories for the care and we'll perform action regulation, tuning and voicing in relation to the location and to the liking of the pianist. *on request we provide an on-the-spot investigation to detect the acoustic and hygro-thermal characteristics of the environment of the piano. 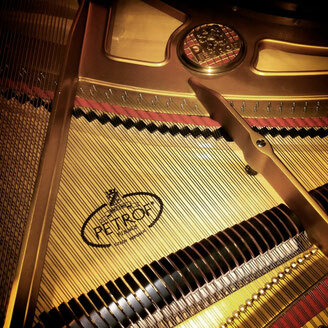 When choosing a piano, you have to consider that its sound and mechanical potential is related to the size. In fact, the sound increases its duration (and is enriched in harmonics) in proportion to the increase of length of the strings. From the mechanical view, for the principle of the lever, the longer is the key (proportional to the size of the piano), the greater the chance of getting refined dynamic and expressive touch effects. Click here or contact us to know our offers and the available pianos.